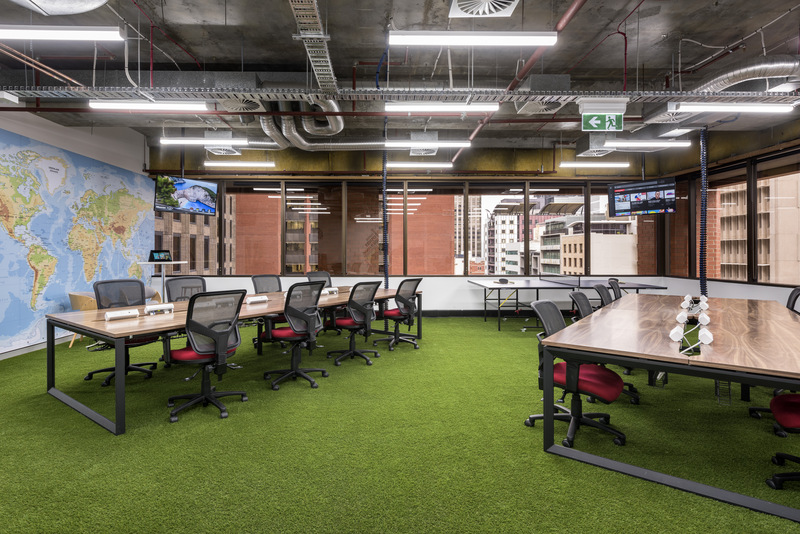 Having been involved in fair number of creative projects, it’s fair to say Spencer Ogden wins our award for one of the most progressive clients we have worked with – and their new Perth office is a reflection of their dynamic and vibrant working culture. 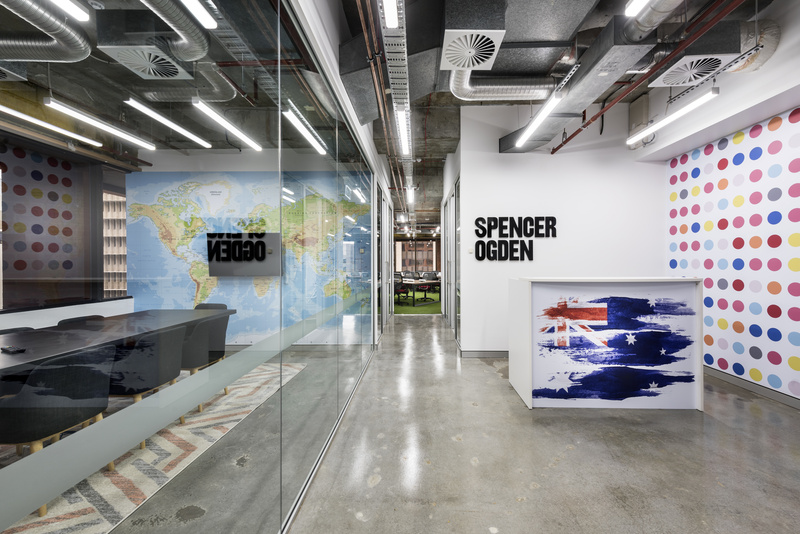 Relocating to a new building, Spencer Ogden’s brief required us to push the envelope and create an office which reflected their global design palette with a touch of local Australian culture. The reception offers more than just a waiting area; the chesterfield couches are a stamp of their identity and this waiting area is encapsulated by 3 meeting rooms, each with a distinctive finish. 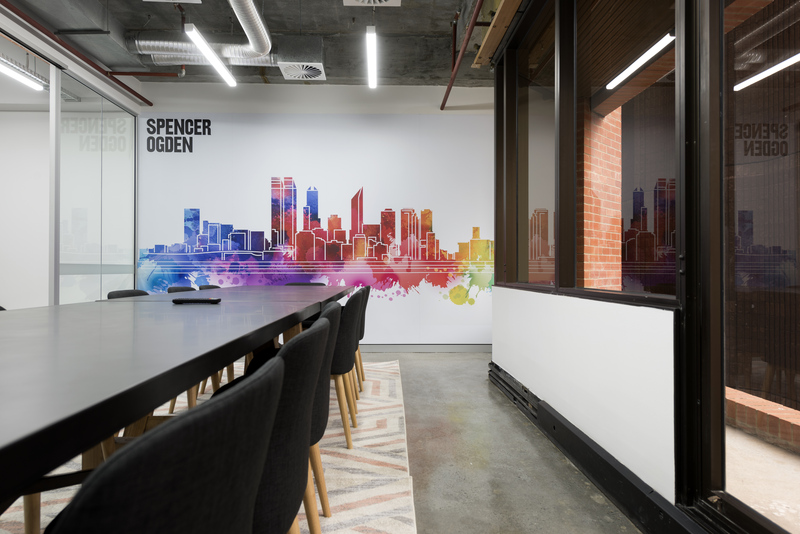 The boardroom reflects Spencer Ogden’s global reach with a world map stretching across an entire wall. Adjacent to the boardroom is the customary club room; opulent and genuine, finished with authentic artwork and furniture. 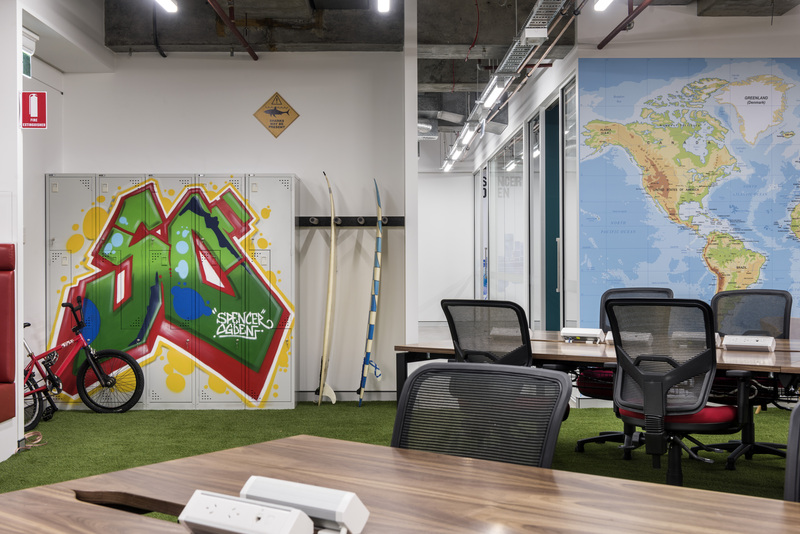 Opposite this lounge, a casual meeting area reminiscent of an Australian beach shack, complete with outdoor furniture and a surfboard hanging off the wall. Not enough? 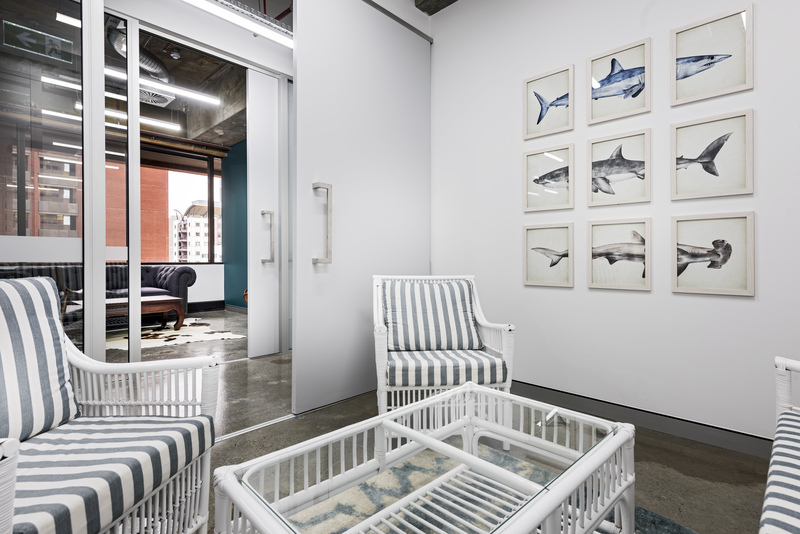 Shark images are the icing on the cake here, reminding you of how this truly is an Australian office! 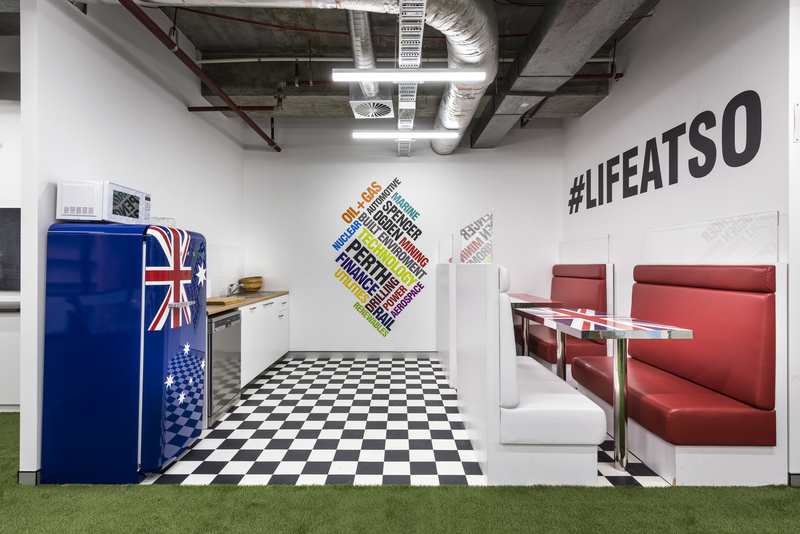 The open plan is kitted out with custom desks, characterised by a table tennis table (yes!) and a surf board rack (again, yes!). Spencer Ogden do things differently and that includes being able to ride a bicycle around the office. The synthetic grass floor makes the bike ride even sweeter. And finally, lets not forget about the breakout. Replicating a traditional American style diner, custom checked vinyl flooring with red booths provide an amazing contrast, taking the team away from their place of work and into a vastly different environment. 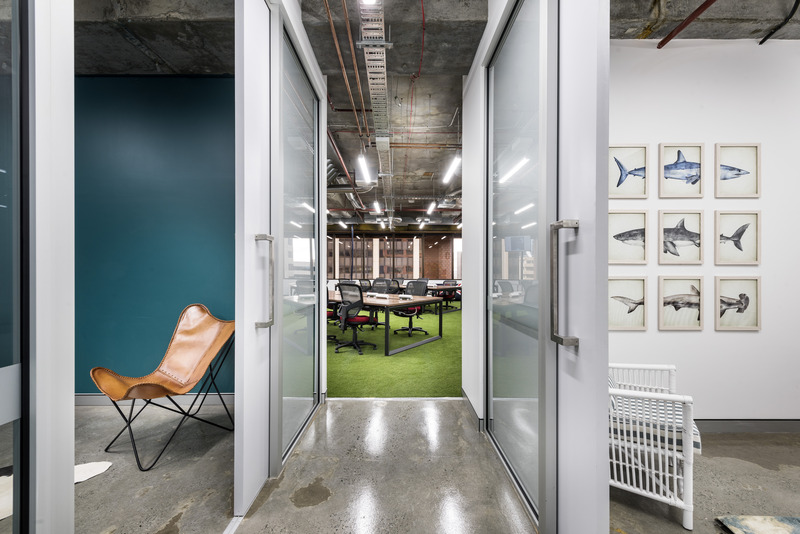 An exposed ceiling puts the finishing touch onto this pulsating office giving it a raw, industrial feel. 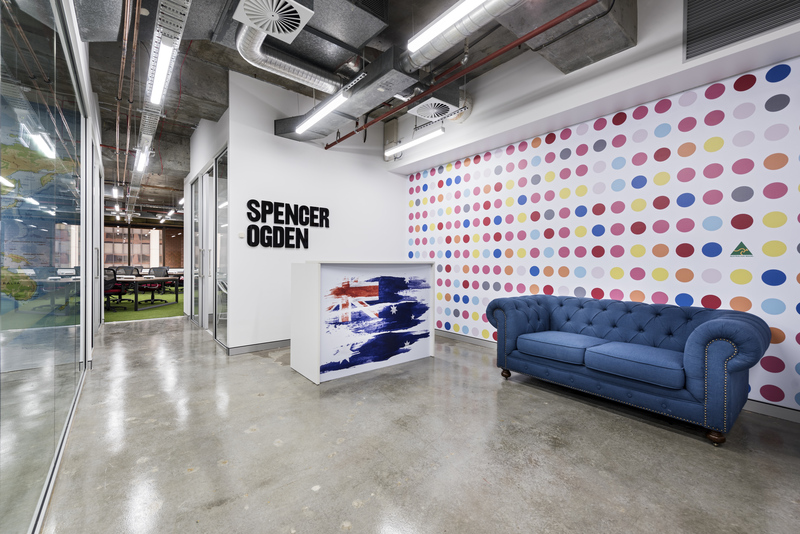 No wonder Spencer Ogden’s staff is so excited with their new space!